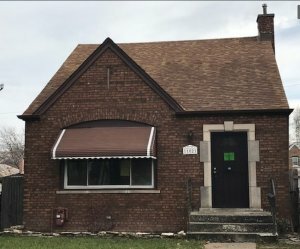 We Buy Houses in Chicago! Call (855) 741-4848 For Your CASH Offer! There are over two million houses in Chicago, Illinois. Tens of thousands of residential properties are up for sale at any given point in time. Chicago metropolitan area is home to more than half of the population residing in the state of Illinois. Any new residential property, whether it is a house or apartment, getting listed for sale is directly pitted against at least a few hundred homes in the same neighborhood and adjoining areas. The competition is fierce. While there are many homebuyers seeking their dream house or apartment, the preferences are often similar and hence many residential properties do not sell quickly. Delay is the most common problem faced by homeowners in Chicago. Owners of residential property may want to sell their house for a myriad of reasons. Homeowners may upgrade to a larger house to accommodate a growing family. Homeowners may downgrade to a smaller home if the family no longer needs as much space. There could be financial compulsions and personal choices influencing the decision. Owners of old properties may invest in a new house. Changing residence due to professional or personal needs is also common. No matter why and when you wish to sell your home, you will be facing the same challenges as innumerable other homeowners in the city. The easiest, simplest and quickest way to sell your house is to contact Dependable Homebuyers. 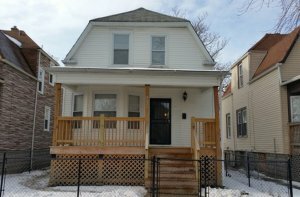 We buy houses in Chicago, Illinois. We buy houses directly from homeowners and we have a straightforward proposition. Get a CASH offer from us in twenty four hours and sell your house in seven business days! Get Your CASH Offer in 24 Hours! We are a nationwide company with a fast expanding presence in Chicago and across Illinois. We buy houses and do so directly. We do not operate via real estate agents or realtors. We do not have any network of affiliates or channel partners. All homeowners deal with us directly. We are not an intermediary looking for an interest homebuyer to purchase your house. We buy houses as- is. That is what we do. Unlike ordinary homebuyers, we do not look for only one dream house at a time. We buy multiple properties at the same time. Unlike real estate agents, we are not dependent on someone else to buy the property and hence be subjected to their decision. When you sell your house to Dependable Homebuyers, you are dealing with the purchaser directly and you are effectively circumventing all the typical hurdles faced by homeowners. Property owners are compelled to spend money on several essentials to sell their houses. The first expenses are listing the property online, putting up a sign for passersby to take note of, appointing a real estate agent and paying for an inspection that is followed up with an appraisal. These are basic expenses. Then there are marketing costs. Most real estate agents will have a comprehensive marketing campaign planned for the properties they represent. These efforts have to be paid for. A realtor may include such costs in their commission or there may be a separate expenditure. Regardless of that, a homeowner will have to pay for such endeavors and processes, whether or not there is any worthwhile impact on the actual sale. No real estate agent will pay for anything and some will actually inflate the costs to benefit their bottom line. Homeowners have to spend a few hundred upfront. The expense will skyrocket to a few thousand in due course of time. If there is a need to pay for repairs, renovations or upgrades, then the initial expenditure could be several thousand. Factoring in the total commission charged by a real estate agent, the ultimate figure could be tens of thousands of dollars. With the exception of the commission being charged by a real estate agent, which is only paid when the house is sold, the other expenses do not guarantee a sale. There is no guarantee that the property inspections, appraisals, advertising campaigns or promotions, repairs or renovations will expedite the sale. The expenses are thus a futile investment with no return. Claims that such expenses may increase the return on the original investment may also fall flat when the sale does not happen or the ask price is negotiated and reduced to close the deal. Homeowners pay nothing when they sell their houses in Chicago, Illinois, to Dependable Homebuyers. We buy houses without charging any commission. There is no service fee. We do not charge anything for the viewing or property inspection. We have an in-house appraisal that is our own process. We take care of closing costs. We have our own legal team that can work on the paperwork. You do not pay any processing fee or for the financial transaction. Dependable Homebuyers pays for everything! always require sufficient time to promote a property and entice enough buyers. Having one homebuyer view your property is not a guarantee that your property is gaining traction. You may not get another interested homebuyer anytime soon. All homebuyers are exploring other properties and each of them can buy only one. They will want to secure the best deal and yours may not be the one for them. Listing a property, allowing realtors to do their job, dealing with partially interested homebuyers and then actually closing a deal can take weeks, if not months. 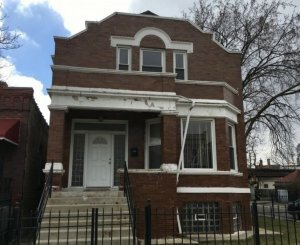 There are properties in Chicago that remain unsold for up to a year. A few go unsold for over a year. There is very little a homeowner can do. Realtors can be more effective with their outreach but they are not the buyers so there is a certain degree of helplessness. Dependable Homebuyers empowers homeowners to circumvent all the hurdles. There is no need to list a property anywhere. There is no compulsion to hire a real estate agent or even to put up a for sale sign on the property. Homeowners do not have to wait for homebuyers to come across the listing and then assess their interest. There are no futile appraisals and repetitive property inspections. Property owners do not have to indulge in multiple tours and viewings. There is no need to entertain half a dozen or more partly interested buyers only to be told that they are no longer willing to consider your property. The only way to expedite the sale of a house in Chicago is to consider selling it directly to Dependable Homebuyers. Dependable Homebuyers will conduct a viewing immediately after you express your intent to sell a house in Chicago. The site visit is usually scheduled within a day of your call or submission of online form. You can schedule it later if you are not available immediately. The site visit includes a property inspection. 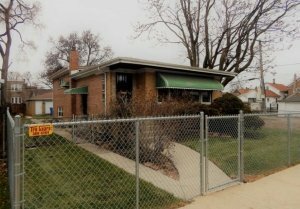 One of our team members based in Chicago will visit your property and inspect it. This is not a third party property inspection. There is no third party involved at any stage when you are dealing with Dependable Homebuyers. The property inspection is a complimentary service. You do not pay anything for the viewing. We conduct our own appraisal. We have an in-house research team of experts that comes up with a fair valuation of your property. We shall present a CASH offer to you within 24 hours! We put forth a CASH offer within twenty four hours of the viewing. We do not conduct multiple site visits or property inspections. We do not take a week for an appraisal to be completed. We do not come up with multiple appraisals, effectively drowning you in paperwork. Our appraisal is a fair value and it reflects in our CASH offer. The evaluation is not just on paper, as is the case with many property inspections and their appraisals. We make an actual offer. It is not a speculative figure or an educated guess of what you may get to sell your house for. 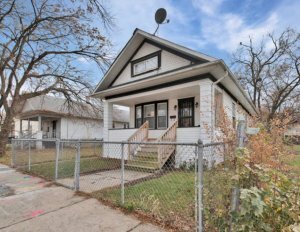 If you accept our CASH offer, then that is the sum you will get and this is our standard operating procedure when we buy houses in Chicago, Illinois. We’ll Buy Your House in Chicago! The CASH offer from Dependable Homebuyers is nonobligatory. You can choose to accept it. You can take your time to consider the proposition. You may also turn it down. If you accept our offer, then we can expedite the sale and close the deal in a span of seven business days. You do not have to wait for a month or even a fortnight. As a company, we fund all our acquisitions. We do not rely on banks or lenders to finance our purchases. Hence, we are not at the discretion of any other party to decide for us if a house should be funded or not. Average homeowners are at the disposal of banks and lenders. They can eventually buy your house only when the mortgage gets approved. Even preapproved mortgages must be subsequently approved on the basis of the chosen property. Our expedited sale is not an ambiguous or circumstantial process. We buy houses in Chicago in seven business days from the date when homeowners accept our offer. This is applicable for all homeowners and all houses anywhere in the city, the metropolitan area and also across the state of Illinois. This is our company policy and you can rely on this at any point in time throughout the year. We buy multiple houses so whether or not there are other deals underway will not influence the sale of your house. Write to us or give a call and get a CASH offer within one day followed by an expedited sale within one week if you accept the proposition. Quit procrastinating! If you need to sell your property in Chicago, then give us a call at (855) 741-4848! One common problem affecting innumerable property owners in the city is the exact condition of a house. There are plenty of houses that are in an awesome condition. There are innumerable apartments that have nothing amiss. However, there is a plethora of residential properties that are not in a perfect state. These properties do not impress homebuyers, not to an extent that they will immediately decide to buy the house. Such properties are often in need of repairs, upgrades and remodeling. Many real estate agents compel owners of such properties to invest in the modifications and renovations to simplify the sale. These expenses will further add to the financial burden and they may not increase the ask price substantially enough to secure a more generous return on the investment. 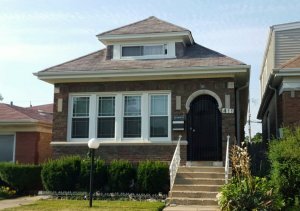 Dependable Homebuyers is interested in every type of house anywhere in Chicago. In addition to the present condition of the house, that may not convince a homebuyer, it is the location that emerges as an unavoidable hurdle. There are sought after neighborhoods and areas that not many homebuyers are fond of. Personal preferences and logistical compulsions influence such choices. There is nothing a homeowner can do about the location of a property. Even if the present state of a house can be improved with a hefty investment, the location will still remain the same. Many sales fall apart due to location. Many deals do not go through due to location and present condition of a house or apartment. 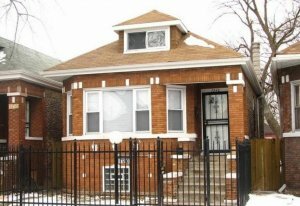 We buy houses in Chicago, Illinois, regardless of location and the present condition of the house. The location, type of residential property, its state of maintenance and other quintessential factors will definitely be factored in the evaluation process but they will not be hurdles when it comes to the actual sale. None of these factors are deal breakers when we buy houses in Chicago. If you want a surefire way to sell your residential property in the city, the only resolute option is Dependable Homebuyers. Don’t Delay! We’re ready to give you a fair, cash offer for your Chicago property immediately. No matter the condition, no matter the situation – you can sell your house fast without listing with a real estate agent. Fill out the form below for your no obligation cash offer!